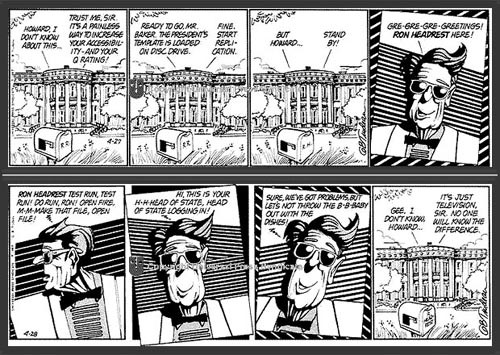 Two representative strips from Doonesbury, showing the genesis of "Ron Headrest" (used with permission). current 13:31, 3 April 2015 500 × 355 (95 KB) Max Headroom (Talk | contribs) Two representative strips from Doonesbury, showing the genesis of "Ron Headrest" (used with permission). This page was last modified on 3 April 2015, at 13:31.